Let Dental Arts Orthodontic Lab. partner with you utilizing the latest technological advancements in dentistry. Dental Arts Orthodontic Lab. is here to help you to transition into new dental technologies. 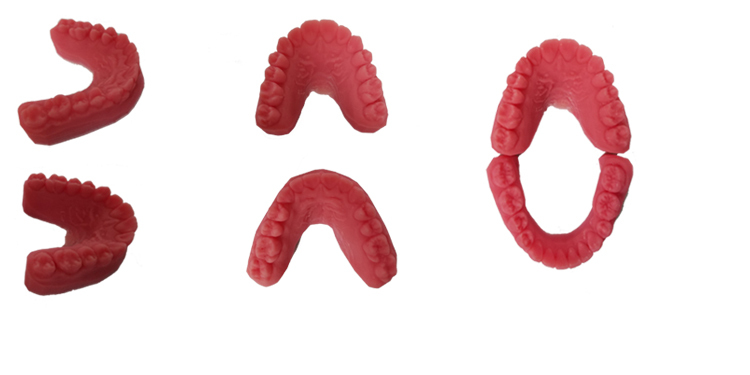 We can accept your digital STL files and begin fabrication of your appliances using your patients' 3D scan. When you send a case to us, your prescription will be followed thoroughly and the case delivered on time. We enter your case into our quality control system to ensure your case is kept on schedule throughout its entire fabrication process. We employ an experienced team of managers and Certified Dental Technicians to ensure consistent quality standards, and you?ll find our friendly, knowledgeable customer and technical phone staff to be very helpful. As technology is changing our industry, we are implementing more CAD/CAM technology into our process. This technology has proven to be reliable and efficient in making orthodontic appliances with more consistent results. Thanks to CAD/CAM, we have made great strides in case-to-case consistency, and we hope that you are able to see that in our appliances. Appliances — 3 to 4 days. Functional Appliances — 7 days.